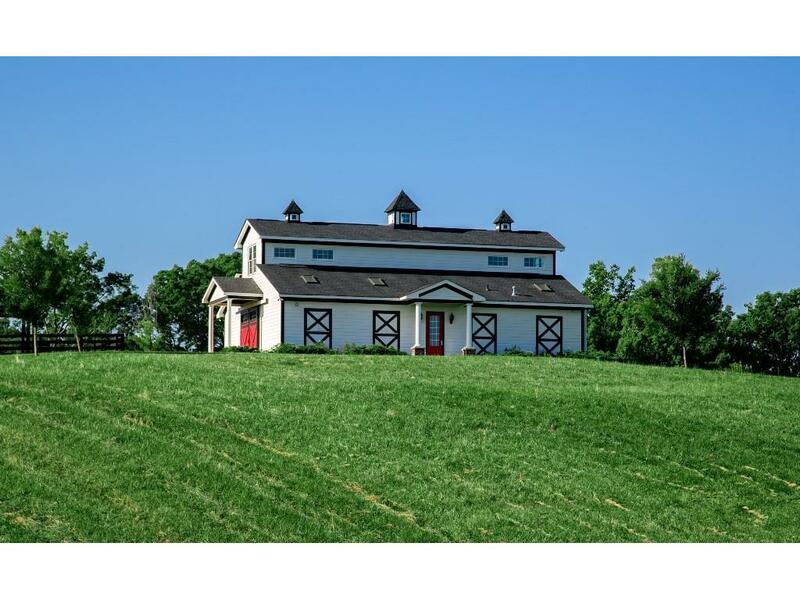 Spectacular state of the art equestrian facility on 23.02 picturesque acres of rolling hills,wooded areas,spring fed ponds,a creek and breathtaking views. Elaborate 4 stall horse barn features sound & security systems,feed/med rm w/washer/dryer connection & sm.frig,heated shower area, bedding rm,2 fenced pastures,riding pen & 2 covered corrals. Upscale caretakers apt above barn features hickory hrdwd flrs,gourmet kitchen & laundry. 12 mile riding trail at Don Carter St. Park open in fall. Excel schls & serenity provide gr. opportunity for dream home. Directions: Please Call For Gate Code.